Want it so so bad! Tired Tuesday. Did a 5 k run for morning exercise and then today after work upper body strength, dead lifts and abs circle. I am in my sofa now doing nothing but day dreaming and longing for several different things. DESIRE AND LONGING! My family, my British visit and dinner with M on Thursday night and my birthday are a few of the things I truly look forward to. 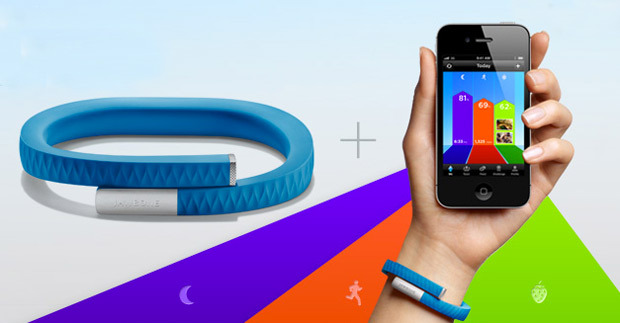 I am also very much into a Jawbone Up that is number one on my wish list right now (when it comes to stuff). It is a neat bracelet (I want the blue one) that together with the app keeps track on your sleep, movement, energy burnt and energy consumed. Really want and NEED one! Doesn’t it look great? 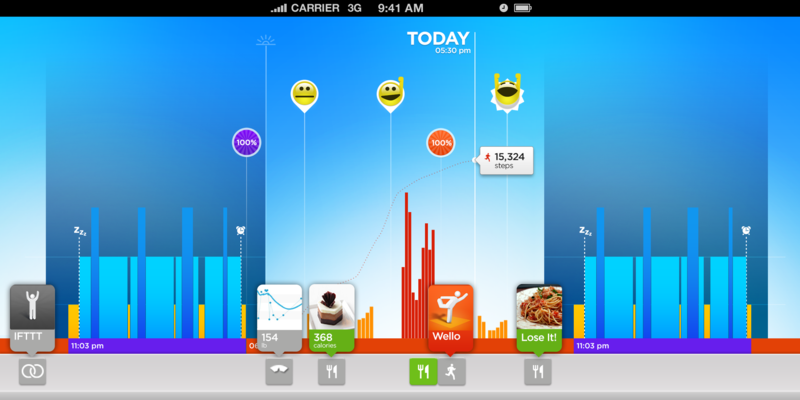 Visit www.jawbone.com/up and see for yourself! I have developed a slightly disturbed relationship to good sausages. At least 75% meat in them a bit thick and I don’t mind a strog chorizo or a smaller salciccia. But my god how I love a good sausage and I don’t seem to get tired of it and it is so fast to cook. I prefer mine grilled with nice veggies and a good cold sauce on the side. I do however need to look into alternatives. Cannot be healthy indulging too much sausage, LCHF or not. 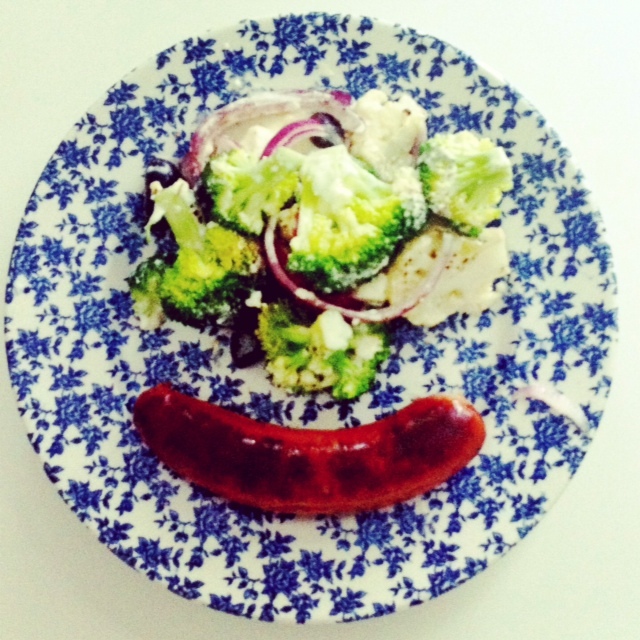 Grilled chorizo with roasted cauliflower and broccoli with red onions, kalamata olives and feta cheese cream. Easy peasy and a quick fix after gym! Ove the dog is away on adventures and he has been gone for a week soon. 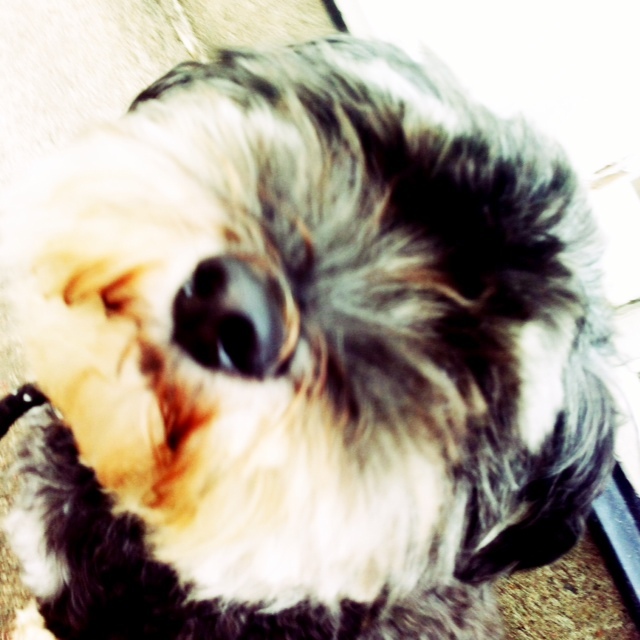 He is having a fab time with Hanna and her family, but, oh I miss the smelly little thing! This Tuesday flew by and another Kardashian’s episode has just been consumed. It is the epidode 2 days before Kim is marrying that super tall Kris. And it is exciting piece of entertainment in my single, pretty event less life at the moment. No complaints as long as I have my meat to grill. Have a lovely evening y’all! ← Penguin walk and the longing for stars.